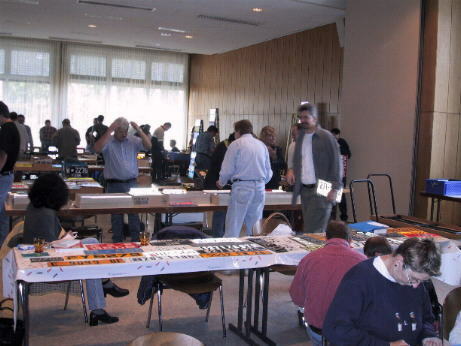 At October 7, 2001 the annual collectors meeting of AKS was again in Bad Camberg. 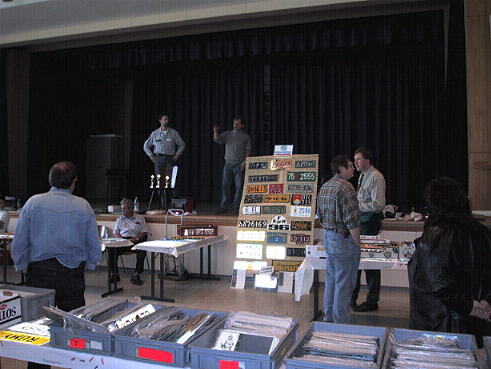 As in the years before many collectors came to the meeting. 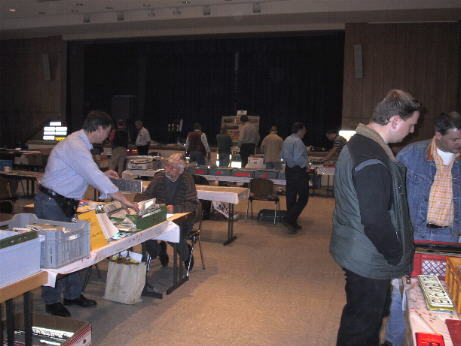 Beside the German members there were collectors seen from Switzerland, France, The Netherlands, Belgium and Poland. 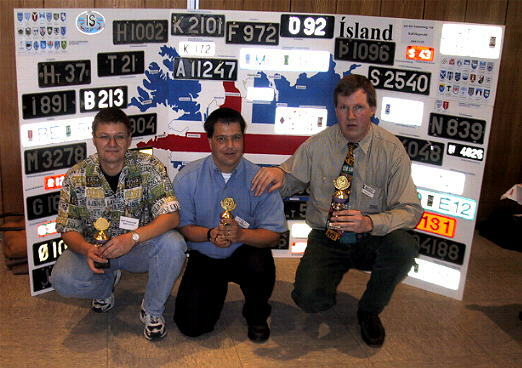 In the following I show some pictures from the meeting. 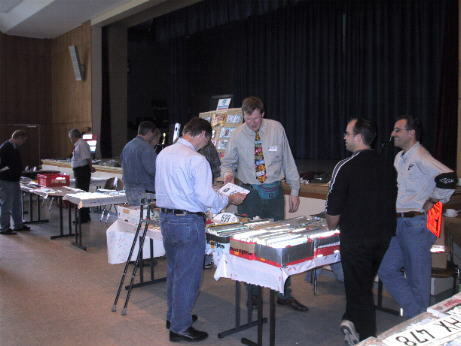 Some collectors searching in trade boxes. 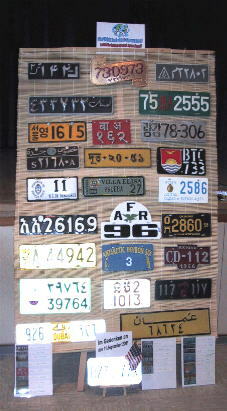 The display of Detlev Riemann "Plates talking many languages"